RTU is committed to providing the perfect floor screed to meet the varying demands within the commercial, industrial, residential and public sectors across Northern Ireland. We not only offer a conventional and modified floor screed, but also a hugely successful hemihydrate liquid floor screed, Ultraflo®. Our sand:cement screed is a high quality screed incorporating a cement set retarder to allow the screed to remain workable for up to 8 hours. RTU fibre screed is a high quality retarded screed containing a measured amount of polypropylene fibres. As a substitute to light mesh, the use of fibres in screed ensures the reinforcement is in the correct position and correctly distributed therefore producing a screed with excellent strength characteristics. This screed is designed with the inclusion of a synthetic polymer resin to give increased toughness and bond properties. This minimises shrinkage and cracking, permeability is reduced and flexural strength is greatly improved. This screed can provide high performance at thinner levels when normal minimum thickness cannot be achieved. Our Speedscreed has been designed as an improved drying screed, suitable for all common floor finishes. It accommodates quick turnaround allowing foot traffic and application of floor coverings earlier than normal.  Ultraflo® is the perfect partner when laying underfloor heating. As a liquid floor screed it has many advantages including improved heat responsiveness, reduced energy costs and minimal shrinkage when laying. See Ultraflo® product page for more information on this unique floor screed. Factory produced to ensure optimum cement dispersion. Available in retarded form providing 8 hour working time. Optimised water content to ensure ease of compaction. Can be pumped using air transport pumps. Floor screed was supplied by RTU during the construction of the new Pavilion at Ballysillan Playing Fields. A new extension to this primary school on the Cliftonville Road, Belfast, and RTU supplied all the floor screed for the project. RTU supplied floor screed for all the houses in this private housing development in Newtownabbey.